Possibly because more Cuban Americans are visiting Cuba these days, the number of calls to Cuba have gone down, as have U.S. payments for the calls. A steep drop in U.S. payments for telephone calls to Cuba may have been caused by Cuban Americans' growing travel to the island, the U.S. economic crisis or increased Internet communications, analysts say. U.S. Treasury reports obtained by El Nuevo Herald showed the payments plunged from $122.5 million in the first half of 2008 to $95 million in the same period this year -- a 22 percent drop. Treasury's reports are required by the Cuban Democracy Act of 1992 and the Helms-Burton Act of 1996. They are sent every six months to the office of the speaker of the U.S. House of Representatives. The reports list the amounts paid by U.S.-licensed companies for all ``telecommunications,'' although the bulk of the money goes to pay the Cuban side of long-distance phone calls initiated in the United States. Calls to Cuba average about $1 per minute, a high price by world standards and one largely driven by decades of political hostilities between Washington and Havana. While the Treasury reports did not mention any reasons for the substantial drop, several Americans who monitor trade with Cuba speculated that one cause may have been the increase in Cuban American travel to the island allowed by the Obama administration. "If you're going there more often maybe you don't need to call there as much as you did before,'' said Antonio Martinez, a Warwick, N.Y., business consultant who follows Cuba trade. The growth in alternative means of communication, such as e-mail and Internet-based telephone systems like Skype, also may be cutting into the telecommunications companies' revenues, said Enrique Lopez of the Miami-based AKL Group, a telecommunications consultancy. ``There's no doubt that Cubans have found other options, through computers at their offices or neighbors who have access to the Internet,'' Lopez said, adding that he knew of one Miamian who is in almost daily e-mail contact with relatives on the island. 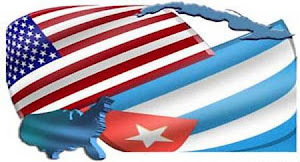 The U.S. economic crisis also may be forcing some Cuban Americans to cut back on calls to the island, said Kirby Jones of Alamar Associates, a Washington consultancy on trade with Cuba. Both Treasury reports listed the same eight companies making payments for traffic to Cuba: AT&T; Sprint Nextel, Verizon Business, Telecom New Zealand, Tata Communications (America) Inc., Telefonica Larga Distancia de Puerto Rico, iBasis and LD Telecommunications. In both reports, Sprint Nextel accounted for the highest payments, of $42 million and $38 million. AT&T, Verizon Business and Telecom New Zealand each accounted for between $10 million and $27.5 million. The Puerto Rican company accounted for the smallest amounts, $313,666 and $258,129. The U.S. firms must use the third parties because they do not have the facilities that would allow them to provide direct service to Cuba, Lopez said. One of the biggest third-party routers is Telecom Italia. Cuba's ETCSA phone company, a joint Italian-Cuban venture, cut off nearly all direct-dial calls to and from the United States in 1999 after a judge in Miami garnished several million dollars owed to Havana by U.S. telephone carriers. The judge acted on a lawsuit by relatives of three Brothers to the Rescue pilots killed by the Cuban air force in 1996.